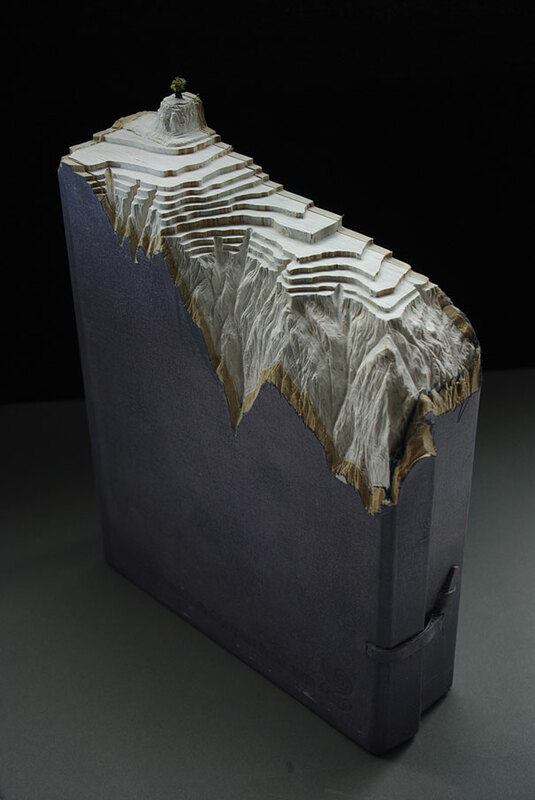 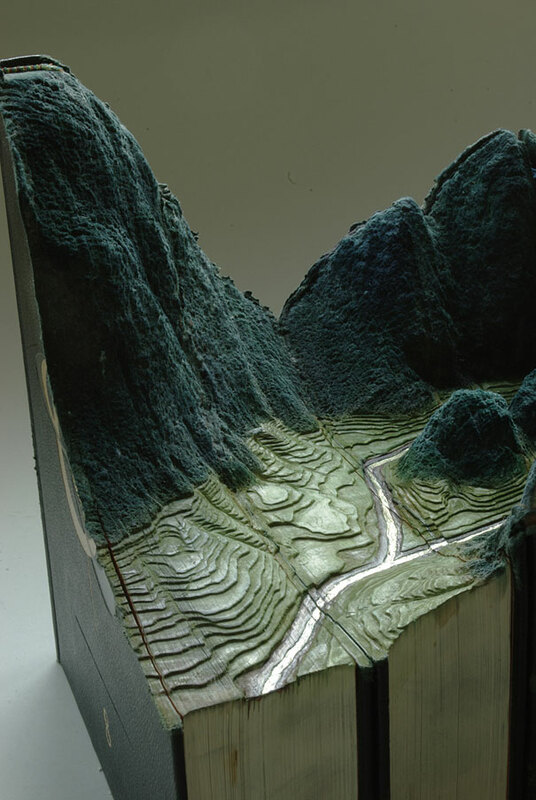 Artist Guy Laramee creates amazing miniature book landscapes out of old books, dictionaries and encyclopedias. 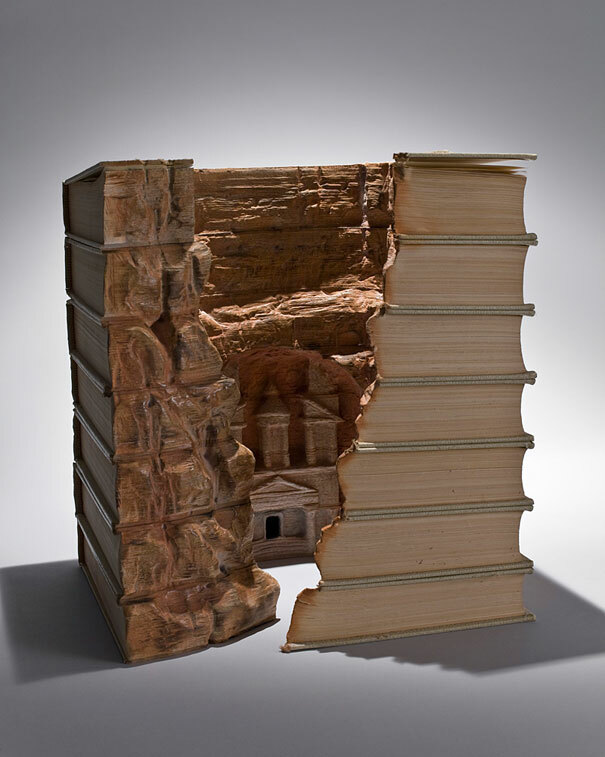 His series entitled The Great Wall and Biblios represent the degradation of human culture and show glacial landscapes, deep valleys and plateaus. 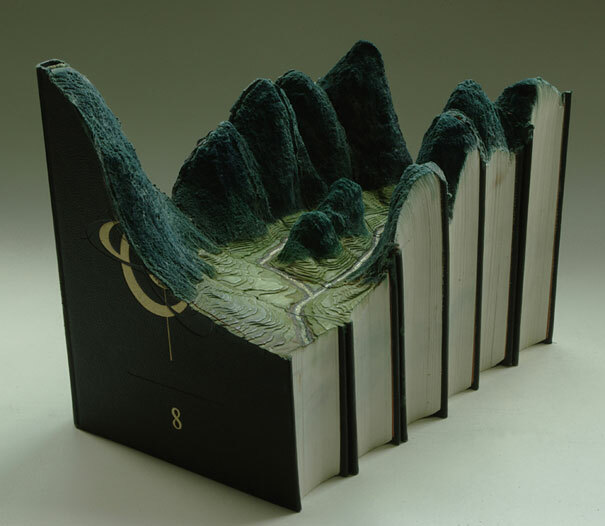 And what do you do with your old books?